The Silk Road, sometimes called the Silk Route spread across Asia from China to Italy and from Mongolia to India. But To England? Well, let's think: the Silk Road was a trading route for silk and many other precious commodities as well as a conduit for ideas, philosophy, religion and knowledge. 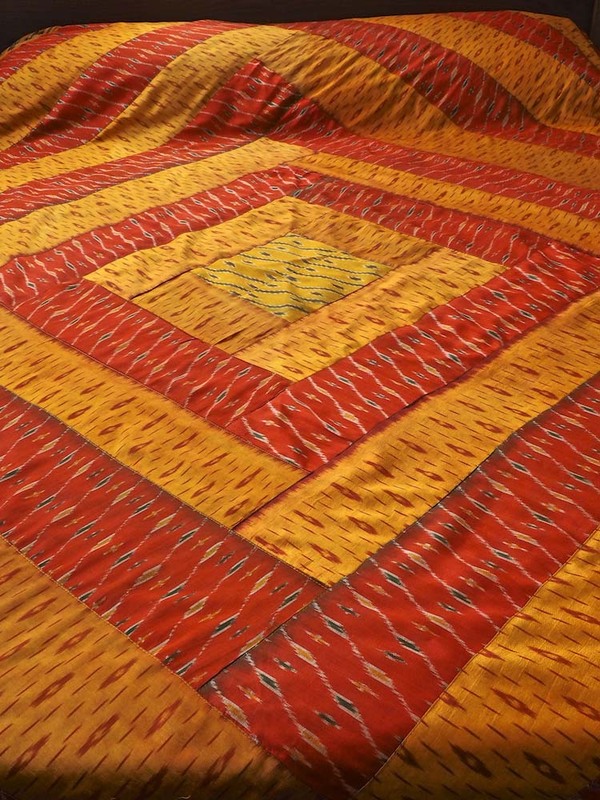 But the Silk Road was originally a trading route for silk. And, being in a little bit tongue in cheek, in the modern day we've extended the Silk Road to England, on this site alone we have silk weaving and embroideries from India, Laos, Indonesia and Afghanistan. So yes, silks from Asia have found a route to England. 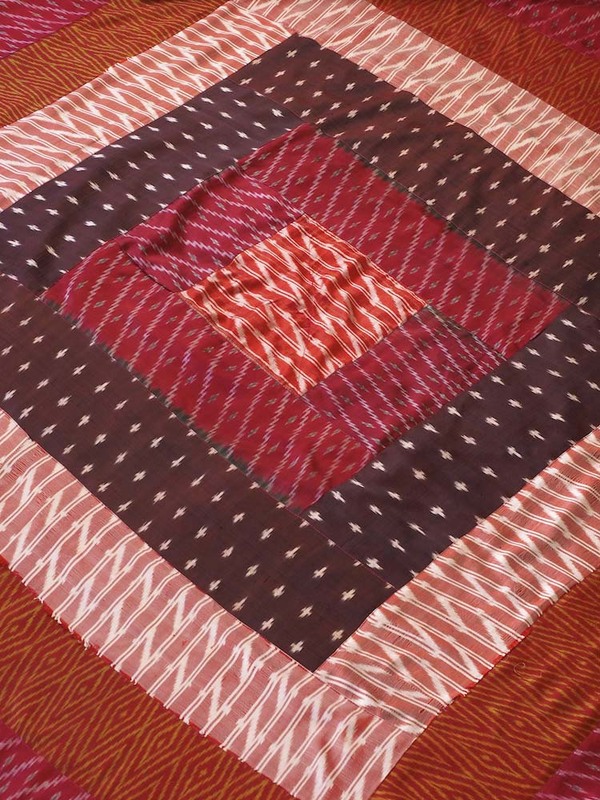 Taking a closer look, we have icat silk bedspreads from India, glorious colourful patchwork designs using that wonderful weaving technique called icat where the warp and weft threads are tie dyed before the fabric is woven. 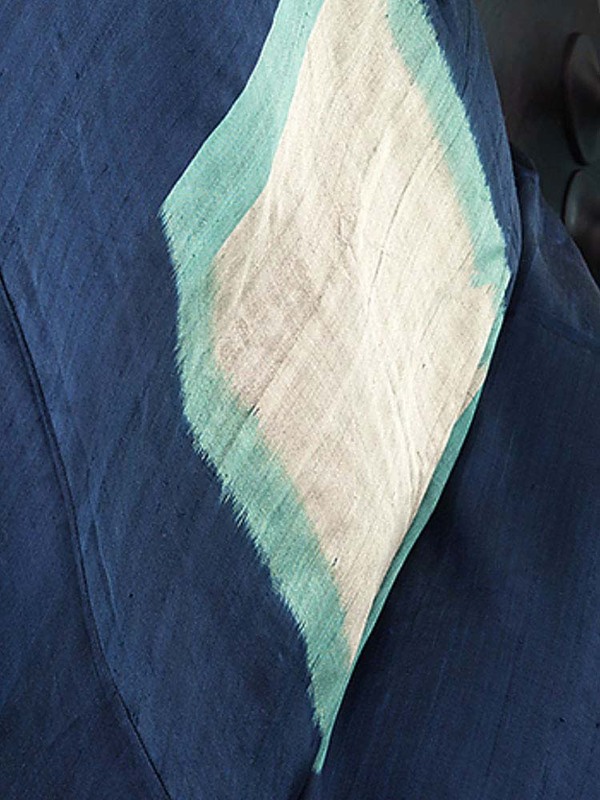 A painstaking process that produces slightly fuzzy edged patterns and a process so valued that many countries and cultures claim to have been the originator. 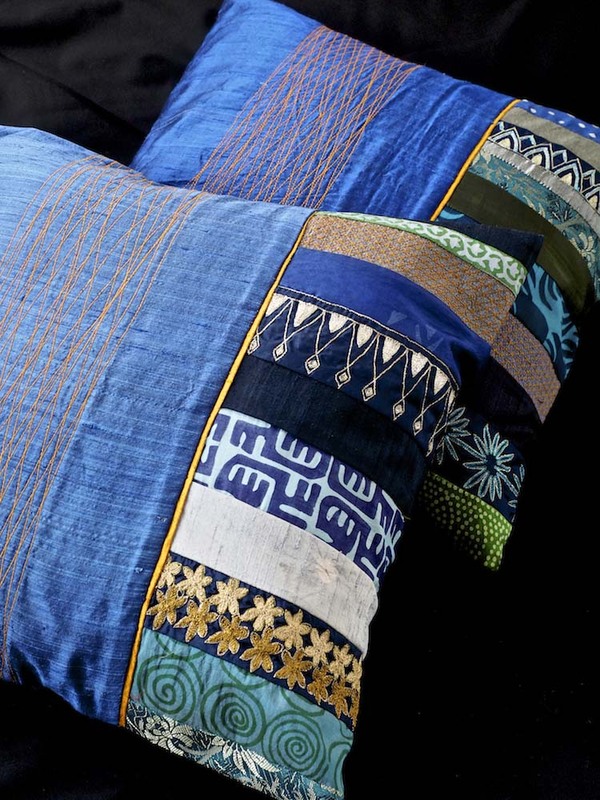 And then there are vibrant silk cushions made from beautiful individual strips of fabric in contemporary designs, pieces of abstract art. 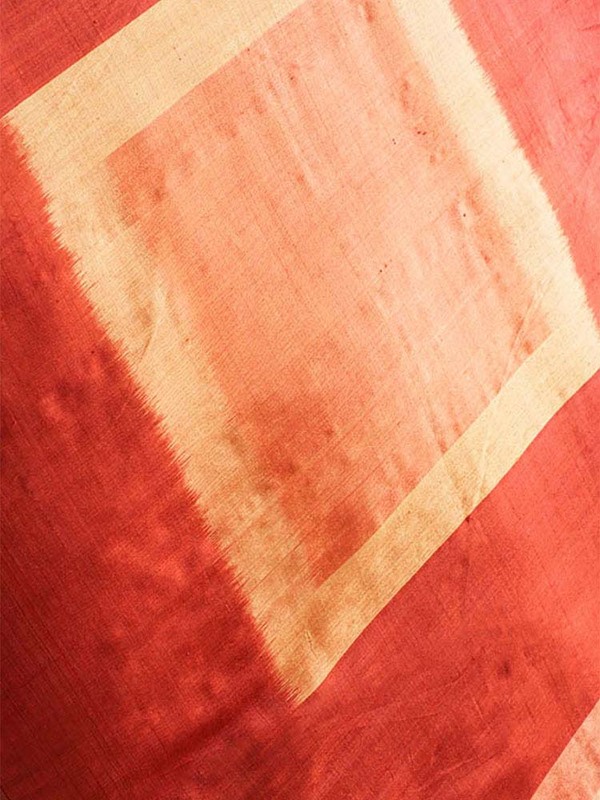 Silk takes dyestuffs very well which enables these vibrant colours to be achieved and, in addition to it's light weight and warmth has always made it a highly valued material used by the wealthy to show their status. We made a trip to Laos, partly because of our interest in it as a Buddhist country but also because of it's weaving tradition, especially in silks. At Luang Prabang we spent time with local weavers, almost exclusively women weaving in their gardens at home. It's an old tradition, a true cottage industry in that the women often make natural dyes from plants and minerals in their local vicinity. 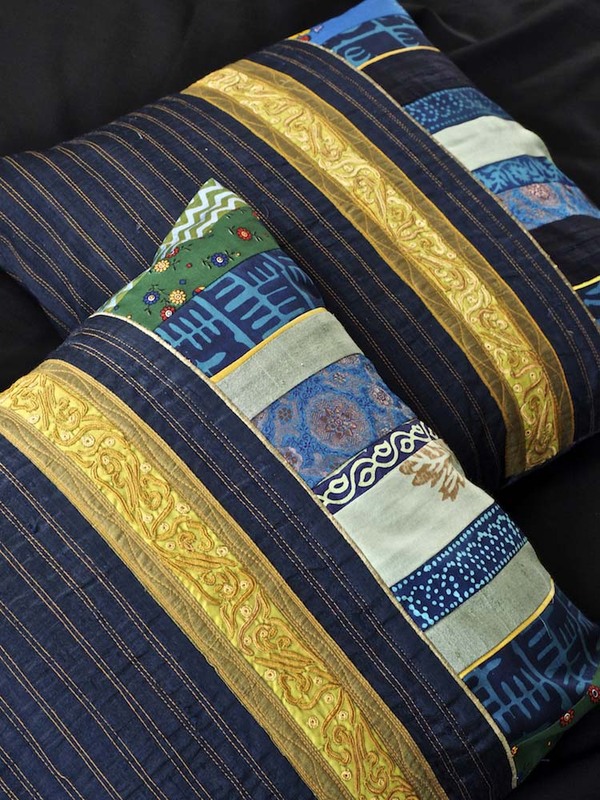 They are superb weavers and we commissioned silk duvet covers as well as the traditional Pha Tung prayer flags woven for the Buddhist New Year.